The situation: You are currently going to college or technical school and wish to wisely manage your financial aid, including student loans. What this page offers: A brief overview of steps and resources you can use to manage your personal finances and your financial aid while you are in school so that you graduate with as little debt as possible. Every good college, university or technical school wants to help their students stay in school and succeed. Among other supports, the school's Financial Aid Office is ready to work with you each term or year to help you take advantage of all the financial aid for which you qualify. But you have to take the initiative. That's particularly true if you attend a larger school. Fortunately, there are effective steps you can take to ensure that you get all the "gift" (free) aid for which you are eligible. Then, if you need to borrow money, you'll learn how to borrow only what you need from the most advantageous loan sources for you. Typically, those loans should be federal loans (subsidized and unsubsidized). Take control by using the following plan while you attend college. Make your studies your top priority. Why? Getting a good education to enhance your career opportunities should be the primary reason you are attending college. Many grants and scholarships depend on your maintaining a good grade point average. Meet all your expenses without falling so far behind financially that you feel you need to quit school and get a fulltime job. Dropouts represent a large percentage of people who default on their student loans. College courses and academic requirements represent a step up from high school in difficulty and intensity for most students. So adopt strategies to maximize your efforts. Map out your schedule. Use a daily calendar or planner to detail class times, due dates for assignments, study time, work time and other activities. Calendars may be online, digital, or paper. Research shows that students who use a planner have better grades. Work with your academic advisor to schedule the right courses (and professors) for your academic and career interests. Consider class times or sections that enable you to make the best use of your time, particularly if you have work study or a part-time job. Appropriate scheduling of courses is also important if you participate in a collegiate sport. Attend all your classes. Get to know your teachers. Make use of their office hours. Use the study aids provided for the class. Take notes! Research suggests that taking notes on paper is more effective for learning than taking notes directly on a laptop or other digital device. For more good study strategies, see this tip sheet prepared by the Counseling Center at the University of Washington. Complete your assignments on time. That means homework, papers, and projects. Take advantage of study groups or sessions. Find a good, quiet place to study—most students agree that's probably not your dorm room, but more likely a cubicle or table in the library or other dedicated study space. Take care of yourself. Eat right, exercise, play some, and get enough sleep. 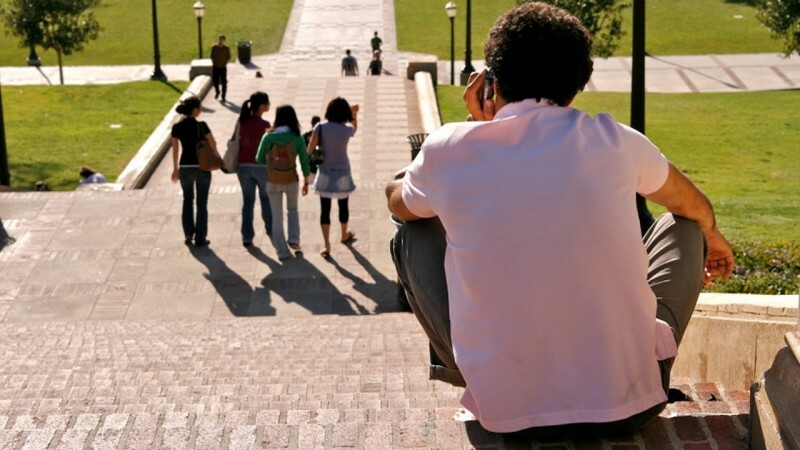 Going to college usually means that you must cope with high expenses and limited income. This calls for good money management skills and following a budget. Going to college usually means that you must cope with high expenses and limited income. This calls for good money management skills and following a budget. A majority of college students rated their money management skills "good" or "excellent" in a recent survey. But the rest of the survey showed their skills were not as sharp as they thought. You can avoid finding yourself in a financial bind by following a budget and honing your financial management skills. Another national studyshowed that students who wrote down their financial goals and followed a budget were likely to succeed in managing their expenses in college. Managing finances and living within your income increase the likelihood you'll stay in school and complete your degree on time. According to a recent Federal Reserve study, a large percentage of student loan defaults come from students who drop out of college, many because they were unable to pay for college and meet their living expenses. Here are two resources to help you successfully manage your expenses and income while you are in college. All your expenses, such as tuition, housing, food, transportation, clothing, entertainment, etc. With these figures, you can then adjust and budget your discretionary spending to fit your means. Check out our interactive FoolProof modules at FoolProof Solo. You can build or refresh the financial management skills you need and have fun at the same time. Without a budget it's easy to spend more money than you can afford on eating out, daily coffee breaks, "must-have" clothing or the latest movie. Lack of budgeting and mindless spending can cause you to incur more debt than you actually need resulting in the necessity for larger student loans. FoolProof Solo. Everyone can brush up on their financial management skills. Many students enter college without adequate knowledge of how to manage money and credit. Check out our interactive FoolProof modules at FoolProofSolo.com. They were created by young people for young people. You can build or refresh the skills you need and have fun at the same time. Do you know that you usually have to reapply each term or year for many items in your financial aid package? Do you know what applications you must submit and the due dates? 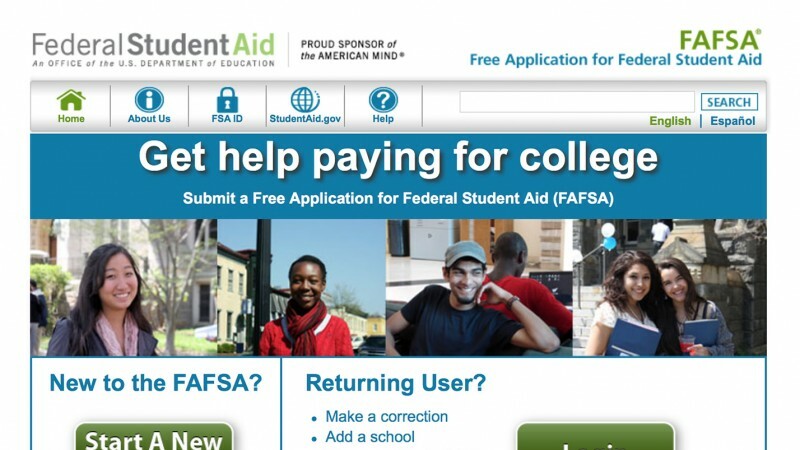 Do you know it's important to submit an updated FAFSA each year (see Step 3, the next section)? When your college updates and renews your financial aid package each term or each year, what do you do? If you just glance over it and then sign to accept it, you are setting yourself up for a world of confusion, possibly obtaining larger loans and gaining more debt than you actually need. Also, the loans may not be the most advantageous to you. According to the Institute for College Access & Success, almost 47% of students who acquired more expensive private loans had not used up their eligibility for cheaper and safer federal loans beforehand. A recent study shows that students who kept running track of how much they were borrowing and the projected monthly payment for the loan total were likely to borrow less money and incur less debt. Keeping track of your financial aid as you pursue your studies will help you gauge how much future debt you are signing up for. You can keep track of your federal grants and loans using the Financial Aid Review tool at StudentAid.gov, although this tool doesn't help you track other financial aid, such as scholarships. Some colleges provide a tracking tool for financial aid, but many focus only on tracking your applicationsfor financial aid. For this reason we've created a tool you can use to keep an ongoing record of all your financial aid. A recent study shows that students who kept running track of how much they were borrowing and the projected monthly payment for the loan total were likely to borrow less money and incur less debt. Click here for our spreadsheet, "My Scholarships, Grants, and Loans" a comprehensive spreadsheet of your financial aid information that you can update each term (or year) to keep track of both gift aid (grants and scholarships) and loans. To renew federal grants, loans, and work study you must update FAFSA (Free Application for Financial Student Aid) each year. Many schools also require FAFSA for other aid. To renew federal grants, loans, and work study you must update FAFSA each year. Set a date for updating your FAFSA on your planner. You want to do it in a timely manner. Application for the following school year now begins on October 1 of the previous year. For example, for 2018-2019 you can update your FAFSA starting on October 1, 2017. Circumstances can change from year to year that may affect the type and amount of financial aid for which you qualify. As noted earlier, doing well academically in your first year of school may qualify you for additional school and independent scholarship aid. Selecting a major field of study may qualify you for independent scholarships from organizations in that field. Ask your school's Financial Aid Office what grants and scholarship they know about. They may also recommend resources to help you find gift aid and apply for it. Remember that a college's priority is to keep a good student enrolled. So make use of the Financial Aid Office's expertise and resources. Sometimes your financial need picture changes. For example, if family income has decreased because a parent is no longer working or has taken lower paid employment, you may qualify for more need-based federal grant money and subsidized direct loans. Your FAFSA will show this change and your financial aid office can work with you to apply appropriately. Also remember that even if you decide you need to work more hours and take a decreased academic course load so that you can make ends meet, as long as you are enrolled at least half time in school, you qualify for federal aid. Before you decide to do that, however, work with the advisors in the Financial Aid Office. Just because you are eligible to borrow $5000 in a direct federal student loan doesn't mean that you should borrow that amount, especially if you only need $3500. One way students run up total debt is by borrowing all the money for which they qualify even when they don't need it to cover all the necessary basic expenses. Protect yourself from this danger by making a realistic budget each term and year. If you need to borrow, only borrow the amount you need. 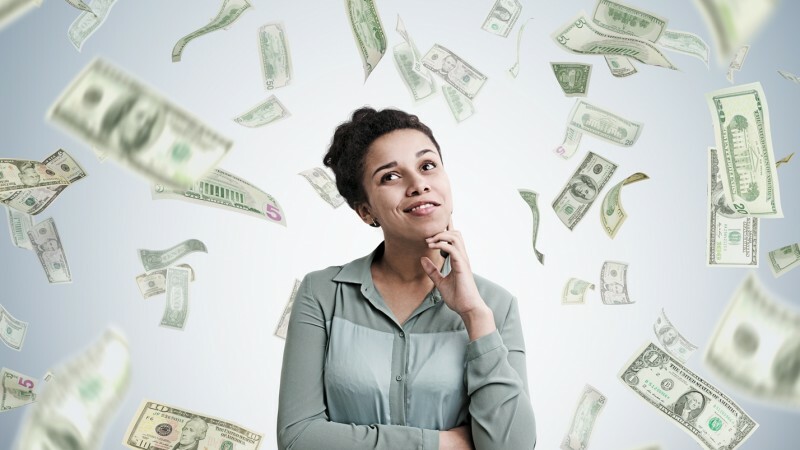 Most experts also recommend that you limit the total amount you borrow to no more than what you expect to earn in annual salary for your first job after graduation. Keep track of the total funds you have borrowed as you go to stay within this guideline. The Salary Finder at CareerOneStop.org, sponsored by the U.S. Department Of Labor. You can look at salary ranges for 900 specific occupations by city or state location. This tool reports low, median, and high salary ranges. Entry-level jobs will most likely be in the "low" range, so use that figure for your estimate. Also check the entry level salaries for your field on Salary.com. Many college Career Centers use this site, even though it is a commercial site. Warning: The site will be happy to sell you various customized reports, but just use their handy free entry level salary tool. Do you really want to spend a minimum of ten years paying interest on fancy coffee, dining out several times a week, taking spring-break trips to the beach or abroad, or buying expensive tickets for a "can't miss" concert? Stories of young adults who've run up thousands of dollars of debt doing just that abound in news stories. Don't use your student loan money for unnecessary or frivolous pleasures! When you are applying for various types of aid (perhaps you have submitted several applications for outside scholarships), you don't always know if you will receive all or only some of them. As a result, you may have applied and received more loans than you really need. This could happen two ways. You have applied and received more loan money than your actual college costs (such as tuition, fees, housing) require and you receive a check as a "college loan refund." However, you know from your budget that you don't need the rest of the loan to cover most of your living expenses. Your part-time job covers those. Rather than just using the borrowed money to pay for "extras" you don't need, you can return part or all of the refund to the lender for credit. You must do this within the first few weeks, not at the end of the term. The less you borrow today, the less you will have to pay down the road in principal and interest. The amount of total financial aid that a student may receive is limited by the official "cost of attendance" (COA) of the school. Each college and university is required to create a COA each year. So it's possible, particularly if you have applied for multiple outside scholarships, that you may be awarded more money than this figure. If this bonanza happens to you, take the free money (the grants and scholarships) first and lower the amount of the loan. If you have already received a loan refund check, return what you don't need to the lender. Working part-time while you are in school can help you cover a number of expenses and lower the amount you need to borrow. You may choose a work-study program, administered by your school, or an outside part-time job. If you choose work study, ask for jobs that enhance experience in your major or field of study, if possible. Although part-time jobs such as restaurant server and retail sales are widely available near most schools, also check into jobs that create experience valuable to the career you plan. Be sure that you balance school and work. For example, don't work so many hours that you don't have time to keep up with your studies. If you have subsidized federal loans, no interest will accrue while you are in school (enrolled for at least half of a full load). But it you have unsubsidized federal loans or private loans, interest begins to accrue as soon as the loan money is distributed. Although you may not have to pay anything on the loan until you graduate (or leave school), the interest is building up. In the case of private loans, that interest may also be capitalized—added to the principal borrowed—so that you end up paying interest on the accrued interest. One way to cut down the total you will owe after you graduate is to pay the interest on the loan(s) while you are in school. For many loans, the monthly interest payment would be fairly small, such as $20 or $30 a month. Check with your loan servicer(s) to see if you can do this and what the monthly payment would be. One way to cut down the total you will owe after you graduate is to pay the interest on the loan(s) while you are in school. If you transfer schools between school years, make sure that you work with the Financial Aid Office at your new school regarding what you need to do to apply for financial aid. Of course, you will complete FAFSA for the new year and list your new school (or those you are applying to) on the form. You also should discuss what aid you may be eligible for at the new school. Although your eligibility for direct federal grants and loans should be about the same as at your old school, the financial aid package your new school has to offer could be very different. If you plan to transfer mid-year, be sure to discuss all the implications for aspects of your financial aid package with the Financial Aid Offices at your current school and your intended new school. When you transfer schools, the federal and private loans you took out for earlier terms (or years) enter their grace or repayment period. First, contact your loan servicer to update your contact information. If you are enrolling immediately in the new school, apply for in-school deferment with your federal loan servicers. Discuss whether in-school deferment is possible with your private lenders; some provide this option and others may require that you begin to repay the loan immediately. The money management skills you have honed in college will set you up for success in managing your money as you start your career. If you leave school at the end of the year or drop out during a term, immediately contact the Financial Aid Office to discuss how dropping out affects your commitments related to financial aid. With grants and scholarships, either the school or you (if you got any cash) may need to repay some or all of the money. The complete amount borrowed in loans will immediately enter the grace period (federal loans) or repayment period (private loans, typically), and you will have to begin making payments. Successfully managing your money, including your financial aid, while you are in college is a real win-win for you. First, you can complete school and graduate with as little debt as possible, and you will also know exactly how much you have borrowed and must repay. So no surprises! Second, the money management skills you have honed in college will set you up for success in managing your money as you start your career.